If you are looking for a videographer in norther New Jersey, please contact me. There is a whole range of possibilities we can collaborate on – interviews for use on your website or Youtube, or instructional or promotional videos to promote yourself or your company. With some of the examples in this portfolio, I worked with the client to help plan the storyboard. 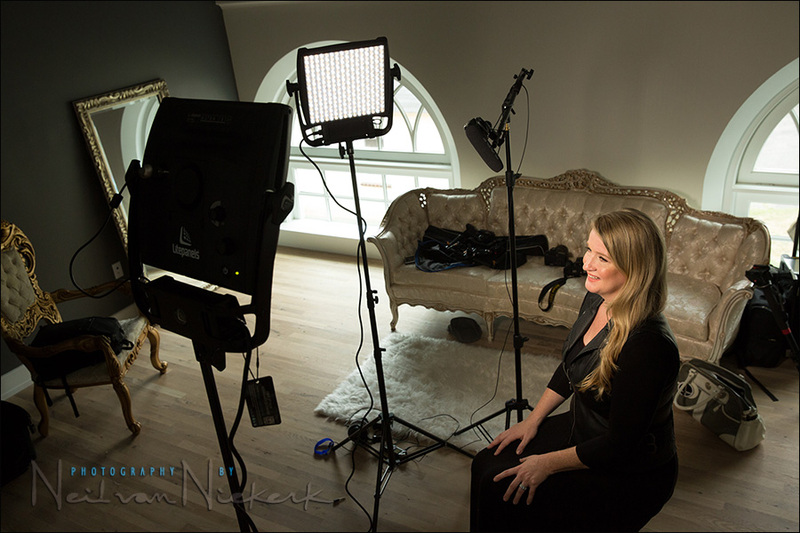 I have a range of lighting gear which are ideal for smaller productions on location or in the studio. Please contact me about any project you have in mind. I’m confident I can help. This video clip was compiled from video and audio footage that were delivered to the client. The video shoot included the use of a gimbal for fluid motion. Lighting was with large 12×12 bicolor LED panels to help blend the additional light with the existing light in the house. Video and sound recording by Neil vN. Editing and graphics were done by the art director’s team. A short overview video of the launch event of LAMY’s new storefront in New York. This video was intended for social media use, hence it is concise – a highlight from the main speaker’s address, along with some of the guests that attended. These two clips are part of promotional material we created for a boudoir photographer – this video is part interview, and part showing how the photographer works with her client. We collaborated on the storyboard to ensure that the actual shoot went smoothly and ran efficiently, and that we were able to get all the material necessary for these final video clips. A promo reel shot for a model / actress, compiled from a number of slo-mo sequences on location in New York. A three-camera setup to capture this sequence for a performance group – the final shorter edit was used on their website, and to promote themselves to new clients. One of several instructional videos shot for a fitness trainer. A single viewpoint was decided on for simplicity of the instruction.